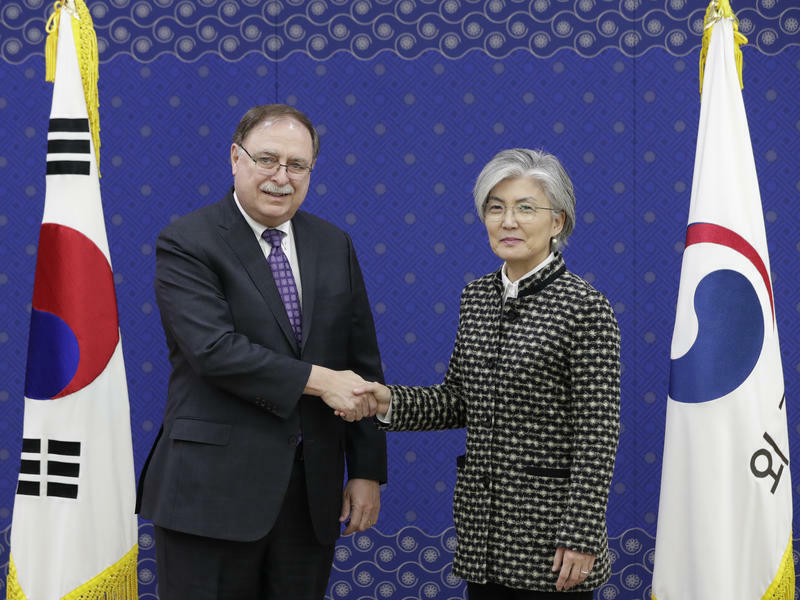 South Korean Foreign Minister Kang Kyung-wha (right) shakes hands with Timothy Betts, acting Deputy Assistant Secretary and Senior Advisor for Security Negotiations and Agreements in the U.S. Department of State (left) during their meeting on Feb. 10. "If the number of laborers declines but their wages remain," he asked, "where does the difference go?" Copyright 2019 NPR. To see more, visit https://www.npr.org.